I will never forget my one and only court appearance. My actions were being judged. Even though I felt I had done nothing wrong, I hoped my honest recollection of events would clear my name. So the verdict came as a massive relief. Can you imagine how it felt to have that huge weight taken off my shoulders? I was reminded about the accident by a comment on my blog on Tuesday. A criminal attorney asked a question about getting online reviews. My willingness to share my story helps illustrate my answer to her and can help your business too, starting right now. Tonight in the UK it’s Guy Fawkes Night, a.k.a. Fireworks Night. 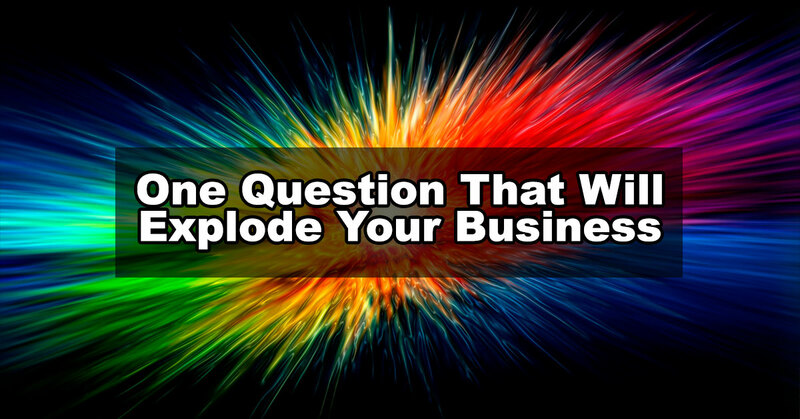 It’s the perfect day to share with you the single question that can completely explode your business by bringing you a flood of new clients. Read on to find out that question. I get asked about this kind of thing quite a lot. For example bankruptcy attorneys tell me that their clients don’t want to give them a testimonial. The clients don’t want the shame of admitting publicly that they went bankrupt. I’ll admit that one’s a challenge, even on a good day! Sometimes clients want discretion and don’t want to talk about their need for your services and how you helped them. You don’t have to be a lawyer to face this problem. Sometimes people just don’t want to let others know that they’ve made a substantial purchase. Social media has made our lives more public but we all still have private lives too – and that means keeping some things private! However, whether you face this challenge of discreet clients or not, my advice to Lisa will still help you grow your business with testimonials and reviews. When you hear about celebrities admitting that they went to rehab, it’s usually once they’re back to being a more screwed together human being. Of course they’re still crazy – they’re celebrities. But as far as their trip to rehab went, for them it’s no longer about the walk of shame. Rehab fixed them. It made them the person they are today. They ‘own’ it. Their trip to rehab is part of their story and they’re willing to tell that story. The same thing goes for bankruptcy. I often hear successful entrepreneurs talk about going bankrupt before finally achieving their desired success. Bankruptcy made them try harder. It’s part of their story and they tell that story. Bankruptcy made them who they are today. They ‘own’ their bankruptcy. So if you were the lawyer who handled their bankruptcy, the story that your client is happy to share is not necessarily going to be immediately after they’ve been declared bankrupt. When your client is well on the road to putting their life back together, when they’re feeling successful, that’s when they might be willing to tell the story of how you were the one who helped them get there. And the same is going to be true for Lisa, the criminal attorney. In your business, what you provide to your customers or clients may have a more immediate effect. You may not have to wait months or years before your client will talk about what you did for them. And you may not have the problem of discreet clients who would prefer not to admit that they ever needed you at all. But I bet you ARE doing the same thing as Lisa. I bet you are waiting until after the sale to start talking about the client’s testimonial and review. You’re not thinking about your customer’s story until it’s all over. And if you’re not thinking about the story before the sale, then neither is your customer. You’re waiting too long to think about it. It’s not a priority for you until it’s too late. If it’s not important to you, it’s not important to them either. However, if the story IS important to you, then you want to act like it’s important. If you want to get testimonials and reviews for your business, then you need to make getting them a priority. 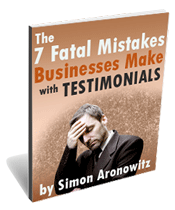 You can start making testimonials and reviews a priority with a simple step. Think about your customer’s story before they ever walk in the door – before they ever make contact with your business. Don’t just think about the job you’re going to do. Think about how you can give each client a story with a happy ending. Celebrities will willingly talk about going to rehab when they can see it from the perspective of it having a positive transformational effect on their lives. They spin their trip to rehab as a story with a happy ending. Almost any product or service can do the same – especially when you help your clients or customers recognize that transformation and appreciate it. Once you start thinking about how you want to frame the story in your client’s mind – with a happy ending – you will better appreciate when that happy ending is. It may not be when you’re actually asking for a testimonial at the moment. Then, instead of asking for a testimonial when you’ve fulfilled your obligations, start talking to your client about their story – their testimonial – before you ever sign them up. You’ll show them that this is important to you. It will make it important to them too. I’m going to tell you exactly how to do that in a moment. Here’s the point: You want your client to have a story they willingly share with others. It’s not very persuasive if the story is anonymous. So you really want them to let you use their full name and their photo. Maybe even give you a video testimonial. And post an online review. Your sales will get the biggest bump ever if your client goes nuts bragging to everyone everywhere about how you changed their life. Right? If you ask them to do that only when you’ve taken care of them, you’ve left it too late. You’ve sprung a surprise on them and it’s easy for them to find a reason – any reason – to decline your request. By doing that, you can get your client to buy into the idea of having a story that’s worthy of sharing. You’ll begin to understand before they’re a client whether they’re someone who will write a testimonial or online review. If they’d prefer not to do a song-and-dance number about your business, you’ll discover whether they’d rather provide a testimonial anonymously or remain completely silent. Once you know how they feel, then you have a chance to change their mind to your way of thinking. You’ll give yourself time to educate and negotiate. You can explore their genuine concerns and figure out a compromise that suits both you and them. For example, Lisa could explain to her new client that when she’s got their acquittal, their testimonial doesn’t label them as a convicted criminal. Their testimonial actually helps them clear their name and celebrate their proven innocence. It’s a happy ending to the client’s story that they wouldn’t have got without Lisa’s help. You want to give your client a story about how you’ve transformed their life for the better – and a story they’re willing to share. There will always be some clients that just won’t ever do this for you, no matter how you approach it. However, there will be other clients who will do this, once they feel comfortable with the idea and ‘own’ it. Remember the question I suggested you ask? If delivering a story with a happy ending becomes your goal for every single client, and you keep asking that question, starting before you make the sale, then it’s not a surprise request at the end. It becomes a conversation and then an exchange of promises between you and your client. Doesn’t that make more sense than just sending an automated email with a reputation management platform? Asking this question before you make the sale is just the tip of the iceberg. There are other ways to leverage that conversation to multiply your business. I’ll be exploring that in more detail in my upcoming free training session. Enter your information below to be notified when that free training session is open for registration. ← Fake Reviews? Amazon Sues!